SAN DIEGO, Calif. /California Newswire/ — ReverseVision, the leading provider of software and technology for the reverse mortgage industry, drew a record crowd of reverse mortgage lenders, brokers and industry newcomers to its second annual user conference February 8-10 at the Hilton San Diego Mission Bay Resort and Spa. More than 90 companies attended the sold-out event, including many “new to the industry” participants who are exploring the possibility of adding the Home Equity Conversion Mortgage (HECM) and related products to their businesses. 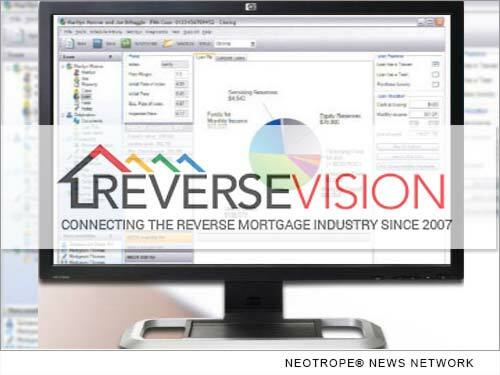 ReverseVision’s opening “HECM Facts Track” session, developed especially for new reverse mortgage originators, kicked off an agenda geared toward bringing traditional mortgage bankers into the reverse mortgage industry. Based on pre-registration figures, ReverseVision projected as many as 50 individuals would attend the session; in reality, attendance nearly doubled those expectations. Other conference sessions covered a diverse array of topics designed to accelerate attendees’ reverse lending efforts in 2017, including compliance, data trends and technology training. Guest speakers from the nation’s top reverse mortgage lenders revealed best practices for marketing, networking and wholesale operations, while special session speaker Rob Chrisman and panelists from Fidelity Bank, Banner Bank and Yadkin Bank shared perspectives from traditional bank lending. “We are optimistic that so many new mortgage bankers attended to learn more about the HECM product and its essential place as a product or line of business in any mortgage banker’s strategy,” said Wendy Peel, vice president of sales and marketing for ReverseVision. ReverseVision has already begun planning its next user conference, which will return to San Diego in February 2018. Attendees and ReverseVision customers are encouraged to view handouts from this year’s conference by visiting http://www.reversevision.com/handouts.